It all started on September 11, 2001. The very thought that we at home were vulnerable to a terrorist attack was born that day. 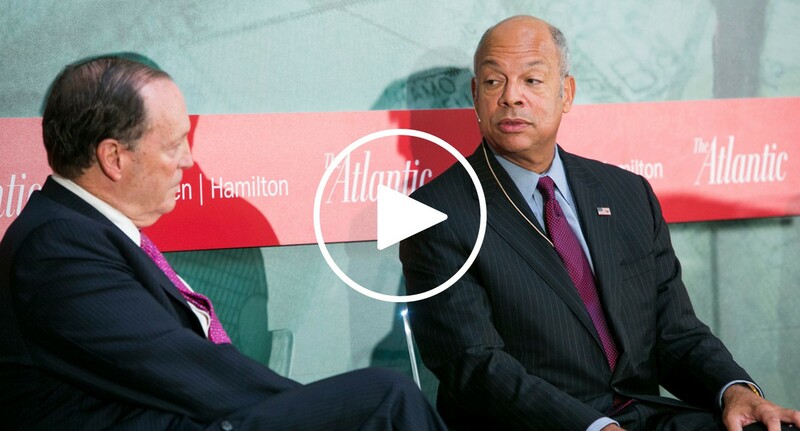 Fifteen years later, Homeland Security is a department, an enterprise and a way of life. But the threat posed to the homeland has evolved. Osama bin Laden is dead, yet the threat of terrorism remains. The homeland has been struck again, not by hijacked airplanes but by individuals taking up arms against their fellow Americans. The terrorists behind those acts never set foot in a training camp or came here from far off lands; they simply adopted jihad on their own. At The Atlantic’s Fifteen Years Later: Are We Any Safer?, we dove into the nation’s homeland security—from office buildings to airports and computer systems to power plants—to examine the strengths and remaining vulnerabilities of our security apparatus and our ability to prevent the next terrorist attack—or recover from it. Since 2005, StoryCorps and the National September 11 Memorial & Museum have worked to record at least one story to honor each life lost in the attacks on September 11, 2001 and February 26, 1993. Interviews collected through this intiative are part of a special collection at the National September 11 Memorial & Museum. To date, StoryCorps has recorded and archived 1,193 September 11th stories, representing 583 individual victims. This is the story of John and Joe.